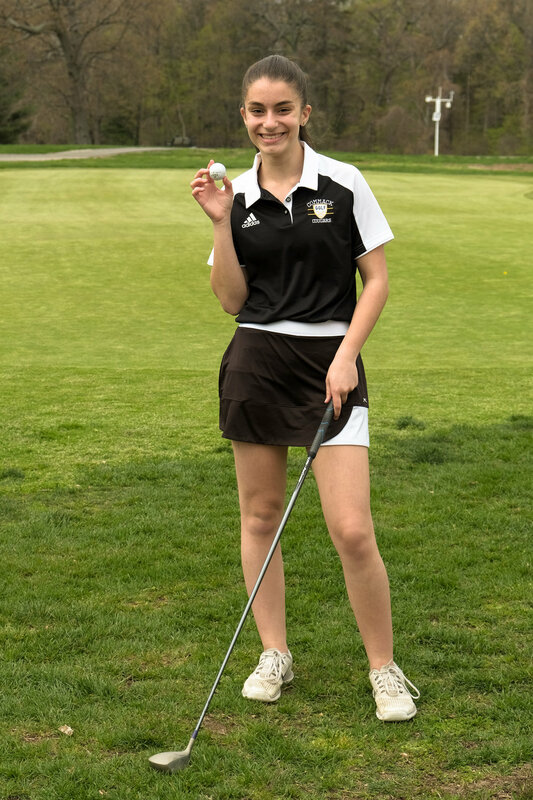 Caught up with the Commack girls golf team during a practice session at Sunken Meadow Golf Course yesterday. I had tried to schedule photos with the team for a few days but the weather just didn't cooperate. Luckily, I caught a break yesterday. The wait paid off because the light just doesn't get any better than this - a thin cloud cover but still bright enough to cast light shadows. Absolutely gorgeous light. The course looked especially lush after all that rain. I just set the camera on Auto-ISO, 1/1600 sec., wide open aperture and just rode the exposure compensation dial to tweak exposure. I've often said in the past that, unlike other sports, golf is probably the one sport where it's almost impossible to have a bad background. It's one of my favorite sports to photograph. You almost can't screw it up. Due to a bottleneck in front of them the play was really slow and most of our team only got three holes in. That was actually good for me because I could take my time and get all the players in a fairly small area without having to run all over the course. Identify your left-handed golfers; you're going to need to move across the other side of the fairway or green to photograph them. Watch your exposure. You'll probably have to dial in some amount of negative exposure compensation since the backgrounds are fairly dark. Just relying on your exposure meter is guaranteed to produce blown-out skin tones. You may need to tweak your white balance in post to compensate for the green reflection from, well, everything. Some cameras overcompensate for this by adding too much magenta tint. Others don't add any and you wind up with green skin. Don't be afraid to take loose crops; include as much scenery as possible. Finally, keep your eyes open for flying golf balls; just sayin'. Thanks very much to the friendly staff at Sunken Meadow Golf Course for letting me photograph there. It's a beautiful course.